The awareness of the importance of protecting the intangible properties in the innovative activities of enterprises is of the biggest concern. No less important is noticing the benefits and threats linked to taking advantage of others’ work results available on the Internet in commercial activity. Therefore, we hope that the publication provided to the readers will contribute to the formation of the innovation culture among entrepreneurs, making intellectual property an important part of the business assets and to the respect for others’ intellectual property. 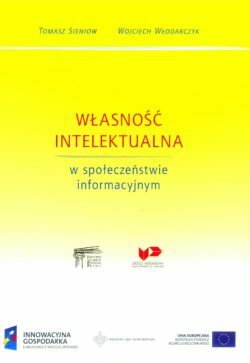 During the preparation of this publication the authors used the handbook written by them, entitled “Intellectual Property in the Information Society,” published in 2007 by the Institute for Rule of Law Foundation and the Patent Office. The presented issues were updated and expanded with the approval of the Foundation. We hope that the effects given to reader’s hands will result in the efficient navigation on the information highway.